I am currently into essential oils. Well, I haven’t exactly become an “oilbularyo” yet but I’m fascinated about their aromatic and healing properties. So far, I’ve tried using tea tree oil with vinegar for mopping the floor, peppermint for getting rid of ants and a stress buster blend of lavender, stress away and citrus fresh for helping me sleep better. Essential oils have been great help to me and my family. This post is brought to you by Koofty Enterprise. All opinions are mine. All trademarks and trade dress mentioned in the text are acknowledged and belong to their corresponding owners. So, when I was introduced to a product that has essential oils, I got really excited. 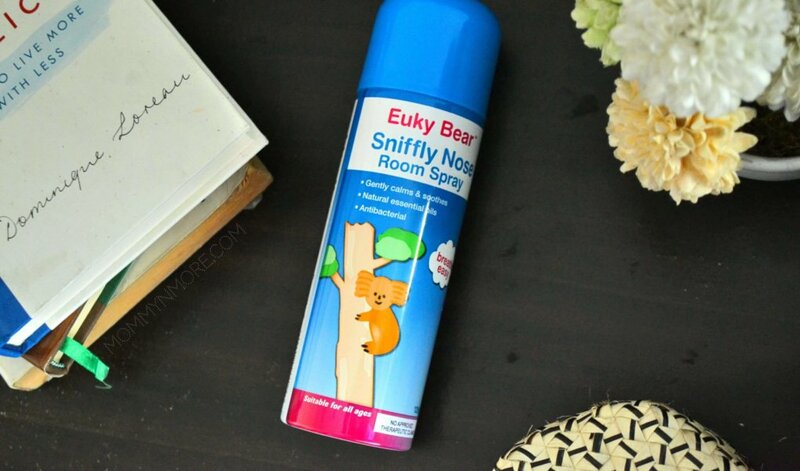 Euky Bear Sniffly Nose Room Spray is another great product by Euky Bear that contains mainly four essential oils: eucalytus, rosemary, menthol and oil of wintergreen. I think last year I shared with you the soothing effects of Euky Bear Rub. This Australia-made product is a spray that livens up a room with its fragrant essential oils. You could use it during day naps, at bedtime or when traveling with your little ones. 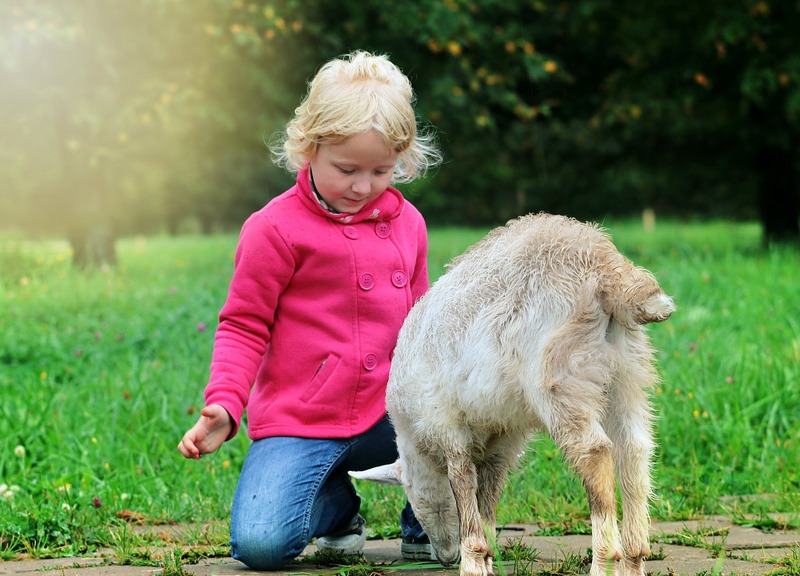 Amazingly, with its natural antibacterial properties, you could also use it as a germ-killing surface spray on toys, door knobs and other household surfaces. Last week, I got to try it and actually used it to freshen up our bed room and sanitize our rest room door knobs. It contains essential oils: eucalyptus, menthol, rosemary & oil of wintergreen. Eucalyptus is known to alleviate respiratory problems, reduce pain and inflammation, and boost the immune system. Menthol has a calming effect on the body. Oil of wintergreen promotes respiratory function. 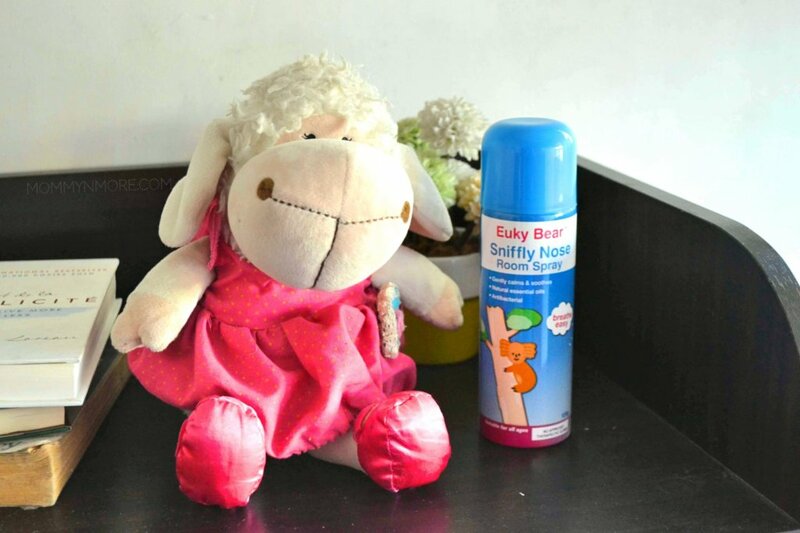 it has many uses: instant aromatherapy for relaxation, kills germs and bacteria on various surface, freshen up mattress so instead of buying three or more products, you can just get Euky Bear Sniffly Nose Room Spray. This means we save money! Spray around your children’s room for approx. 3-5 seconds. Allow the product to settle before using the room. Spray onto surfaces including door handles, change tables, rubbish, nappy bins and toys. Hold the can 15 to 20 cms from surface until it’s covered in mist. Test it first in area that’s not noticeable to see if it reacts with the material. It can also be used to naturally remove odors. With no harsh chemicals, it’s a great alternative to artificial fragrances. When changing sheets in children’s or adults beds, hold the can 15 to 20 cms from mattress and spray. Allow to dry for a few minutes. 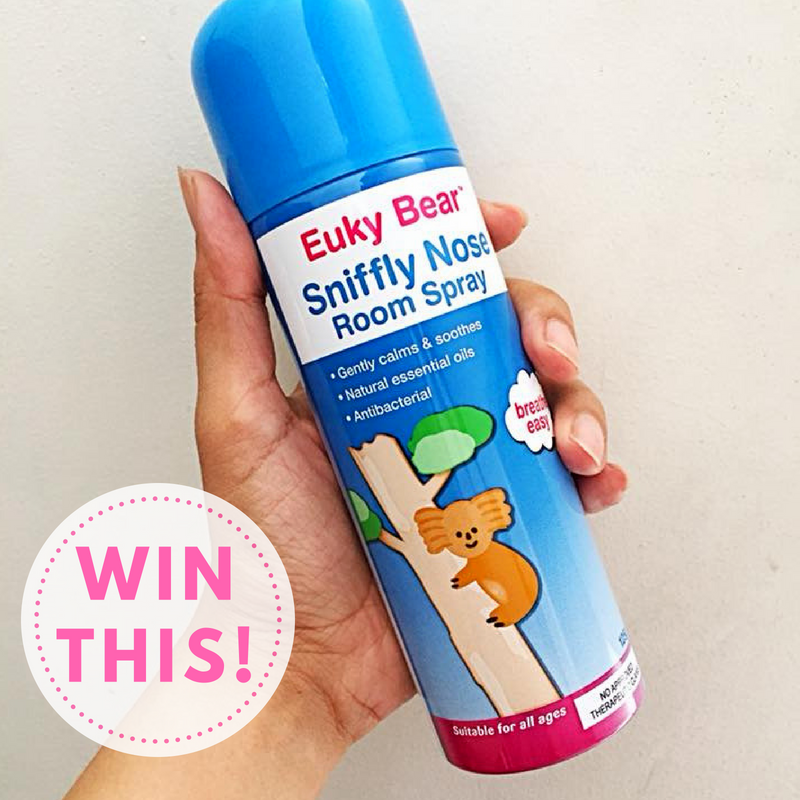 Are you excited to try Euky Bear Sniffly Nose Room Spray for your home? Here’s your chance to get one ! 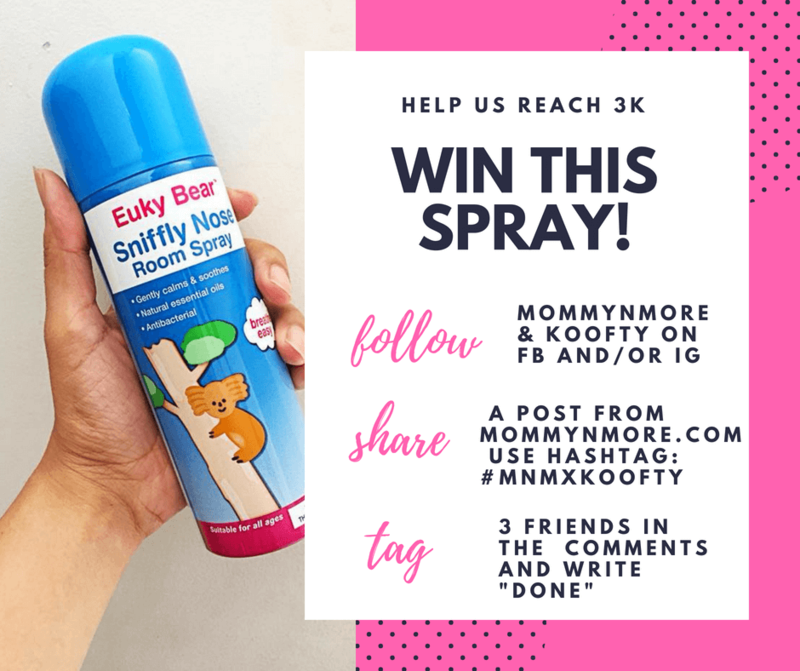 Our generous friends over at Koofty Enterprise, the local distributor of Euky Bear products, will be giving away two (2) Euky Bear Sniffly Nose Room Spray to lucky Mommy N’ More readers! That means you! One winner on Facebook and another on Instagram! Help Mommy N’ More reach 3K and win this room spray! Just visit my Facebook page and Instagram and follow the instructions on these giveaway posters. All steps must be followed for your entry to qualify. On IG, just follow the caption for the giveaway and repost the image below with #MNMxKoofty too! Shipping will be handled by Koofty Enterprise. Winners must reply within 3 days of being notified or another winner will be drawn. Only residents of the Philippines 18 y/o and above may join. You can get Euky Bear products in Rustan’s and MotherCare branches in Metro Manila and Milkandhoney.ph! *Although this product is suitable for all ages, do consult you family doctor if you have very young children, pregnant , breastfeeding, allergic to any ingredient or have medical conditions for any concerns before using this product. Please remember that this product is highly flammable and should be kept out of reach from children. Previous ArticleOrganic and Preservative-Free Oral Care with Buds® Baby Organics Children’s Toothpaste! Wow this is perfect for our bedroom. Would love to try it for my kids. wow , my daughter needs this.it might help lessen her asthma attack..
thanks for the opportunity letting us know about the product.